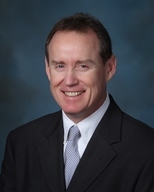 Malcolm started his insurance career at Higgins in 1978. He is a graduate of Hopkinsville High School and has a BBA from the University of Mississippi where he majored in insurance. Malcolm specializes in Commercial Insurance. He and his wife, Gail, have one daughter, Maggie, who is a student at Ole Miss. He attends Grace Episcopal Church and enjoys all SEC sports, travel, and golf. Mack joined Higgins Insurance in May 1992. 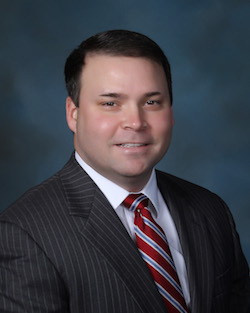 Prior to joining Higgins Insurance, he received his BS in Hospital Administration from the University of Kentucky and his MBA from Vanderbilt University. Mack has spent the last 25 years consulting with both small and large employers in the region developing competitive employee benefit programs. 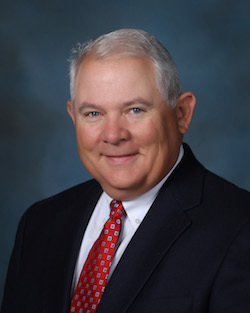 Mack has served on several advisory boards during his tenure at Higgins Insurance including Anthem, Humana, and the Kentucky Department of Insurance. Mack is married to Lynn and has one son, Mack, and one stepdaughter, Brittany. In his spare time, Mack enjoys playing tennis, traveling, and keeping up with University of Kentucky athletics. 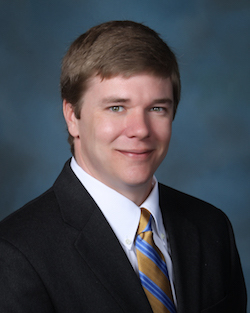 Brad joined Higgins Insurance in January of 2013, becoming a partner in the agency in 2016. He is Vice President of Sales, with agency production and business development being his primary focus. 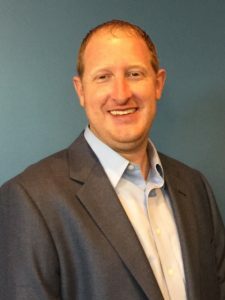 Brad is also a Commercial Lines Risk Advisor with areas of expertise in Agribusiness, Public Entity and Alternative Risk Transfer, including captives. Brad is a graduate of Western Kentucky University where he received an MBA and a Bachelor of Science in Business Management. He currently serves as President of the Christian County Agribusiness Association and is a member of the Board of Directors for the Christian County Chamber of Commerce. He and his wife, Fowlen, have one daughter, Isabel, and two boys, Pace and Brooks. He enjoys spending time with his family, watching UK sports, and playing golf. 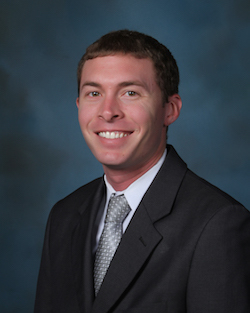 Bradley joined Higgins Insurance in July of 2007 and has been in the insurance industry since 2005. He became a partner in 2012. Bradley specializes in sales for Commercial Lines, Life and Health, and Personal Lines Insurance. Bradley graduated from Hopkinsville High School and has a BS in Agricultural Economics from the University of Kentucky. He and his wife, Allison, have two daughters, Allie and Hannah. He enjoys hunting, sports, and spending time with his family. Lee is a Partner and Commercial Lines Risk Advisor at Higgins insurance. He has been with the agency since January of 2012. Before joining the Higgins team, Lee spent six years in regional economic development roles, setting the foundation of his primary areas of expertise: Manufacturing, Hospitality, and Public Entity. Lee holds both a Bachelor of Science and Masters of Public Administration from the University of Kentucky. Lee serves as Chairperson for the Southwest Kentucky Economic Development Council. He also serves on the Board of Directors for the Christian County UK Alumni Club and the Governmental Affairs Committee for the Christian County Chamber of Commerce. He and his wife, Megan, have three sons, Jack and Graham (twins) and their little brother, Lewis. Lee is a member of First United Methodist Church. In his free time, Lee loves spending time with his family, running, and rooting on the Wildcats, Colts, and St. Louis Cardinals. 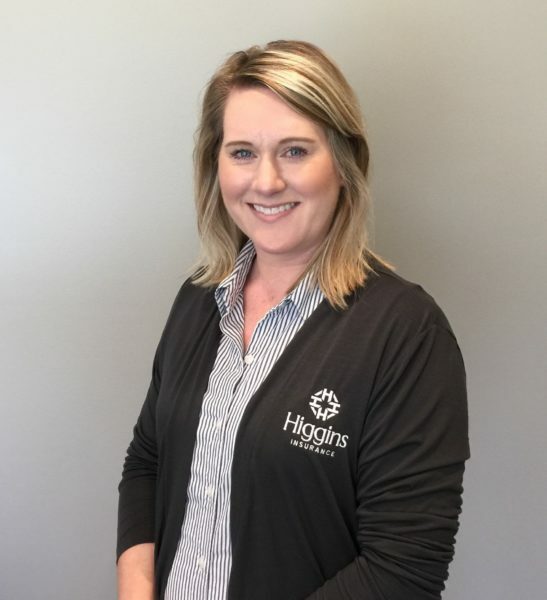 Sarah joined Higgins Insurance in September 2018. She graduated from Lyon County High School and has a Bachelor of Arts in Business from Murray State University. She has been a CPA since 2000 and has 13 years of experience in the insurance industry. She earned her Property & Casualty license in 2008 and her Life & Health license in 2010. Sarah and her husband, Bill, have three children. She loves animals and has three dogs and two cats. She enjoys being outdoors and spending time with her family on their farm. 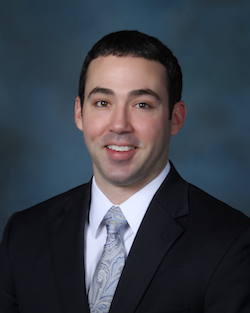 Thomas joined Higgins Insurance in 2010, specializing in employee benefits. He graduated from Owensboro Catholic High School in 2005 and went on to Western Kentucky University to get his BS degree in Technology Management. Thomas enjoys spending time with his wife, Stephanie, his two sons, Jackson and Nathan, and daughter, Abigail. He also enjoys WKU sports and golf. Aaron joined Higgins Insurance in February of 2017. He has lived in Western Kentucky his entire life. Growing up the son of a preacher allowed him the opportunity to live in many parts of western Kentucky. He and his wife, Ashleigh, have two children, Presleigh and Porter. Aaron has always loved agriculture and the rural lifestyle. He is an avid outdoorsman and rarely passes up an opportunity to partake in the great outdoors. When it comes to work life, he is focused on risk management. He is a licensed crop insurance agent and also holds a property and casualty license. His primary focus is on the ag industry, managing risk for farmers and commercial ag vendors as well. Tim joined Higgins Insurance in 2005. 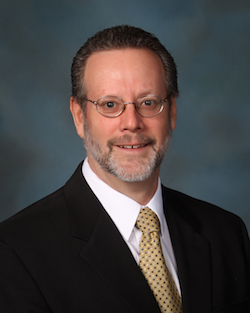 He specializes in sales for Commercial Lines, Life and Health, and Personal Lines insurance. Tim graduated from Bismarck High School and has a degree in Industrial Technology. He received his CIC designation in 2008. Tim and his wife, Julie, have two children and four grandchildren. He enjoys spending time with his grandchildren, traveling, and gardening. 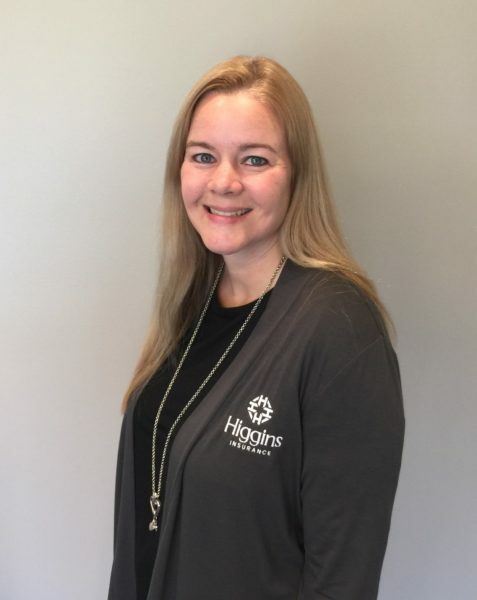 Krin joined Higgins Insurance in June of 2015. She is a 2003 graduate of George Walton Academy and holds a Bachelors Degree in Sociology from Georgia College & State University. She is an associate member of Hopkinsville Junior Auxiliary and serves on the Trilogy Foundation Board. She is also an active member of HYPE and a 2018 graduate of Christian County Leadership. She volunteers her time with several local organizations and especially loves those geared toward animals. Krin and her husband, Matthew, moved to Kentucky in 2011 and live in Hopkinsville with their dogs, Arlow and Ava. When she isn’t selling insurance, you’ll find her traveling, spending summer days by the pool, cooking, and cheering on the University of Georgia Bulldogs. 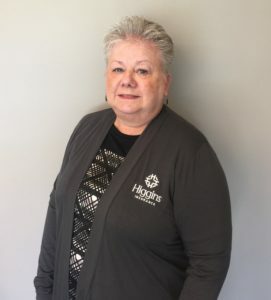 Darlene joined Higgins Insurance in 1975. She is an Account Manager for Commercial Lines. In 1994, she acquired the ACSR (Accredited Customer Service Representative) designation. She graduated locally from Christian County High School. Darlene has one child and four grandchildren. She attends First Christian Church/Disciples of Christ. 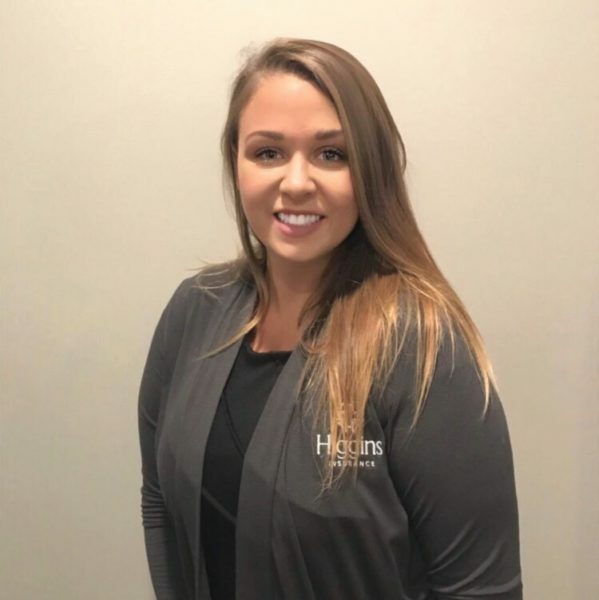 Meredith joined Higgins Insurance in May of 2018. She graduated from Park View High School and has a Bachelor of Science degree in Business Management from Appalachian State University. She lives in Clarksville with her husband, Jake, and step-dog, Max. In her free time, she enjoys reading, working on her blog, and powerlifting. 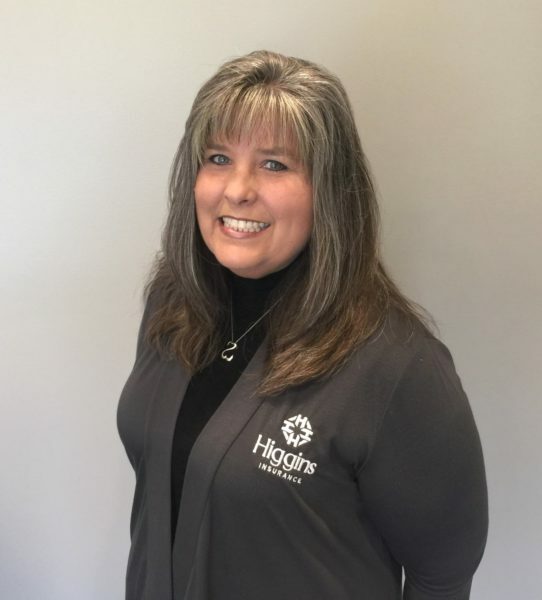 Sandra joined Higgins Insurance in 2005. She is a Commercial Lines Account Manager. She attended Hopkinsville High School and graduated from Austin Peay State University with a Bachelor of Arts degree in Education. She and her husband, Layton, live in Christian County with their son, Clayton. Sandra is involved in her church, Flat Lick Presbyterian, and enjoys riding horses on their farm. 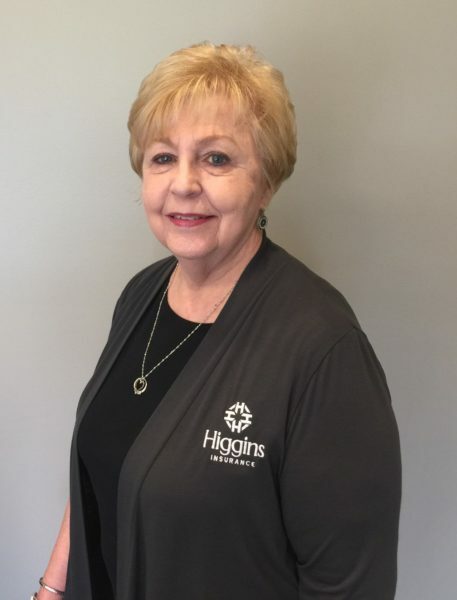 Shirley joined Higgins Insurance in 1975. She is a Commercial Lines Account Manager. Shirley earned her Property & Casualty License in 1981. She graduated from Hopkinsville High School and attended Hopkinsville Community College. Shirley is a member of New Ebenezer Baptist Church. She enjoys spending time with family and friends and attending her grandchildrens’ sports activities. 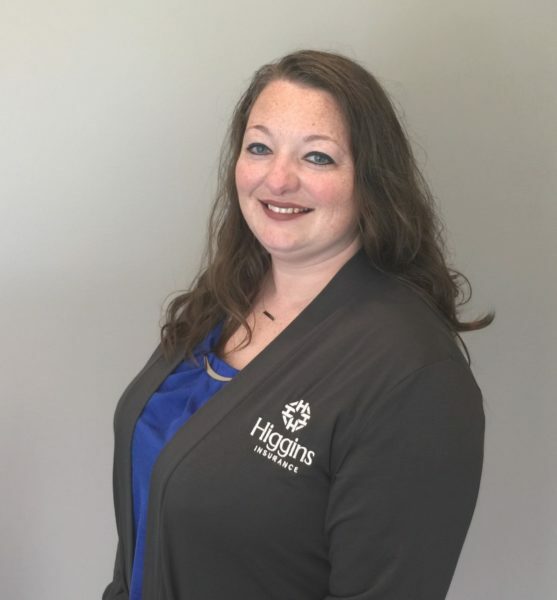 Faith joined Higgins Insurance in April 2018. She graduated from Owensboro Catholic High School. She has an Associate degree in medical office management from RETS Medical and Business College. She and her husband, Chris, have one son, Jacob. Faith is a member of New Work Fellowship Church. She enjoys working out, thrift shopping, and spending time with her family. 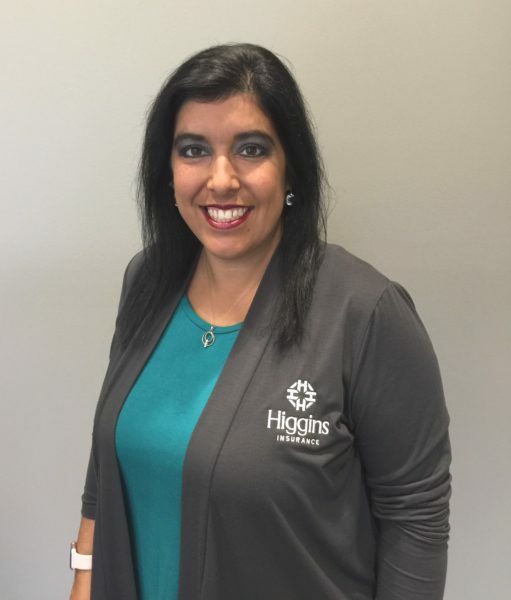 Melissa joined Higgins Insurance in August 2015. She graduated from Lamar High School and has a Bachelor of Science degree in Business Management from Colorado State University-Pueblo. She resides in Hopkinsville with her dog, Scout. In her free time, Melissa enjoys watching Professional Rodeo and Denver Broncos football, volunteering with Girl Scouts, and spending lots of time with her family. Stephanie is a Clarksville native, graduating from Northeast High School in 1991. She has over 23 years of dedicated local insurance and banking experience. She is licensed in all lines of insurance and is eager to serve clients from our Clarksville location. Stephanie and her husband, Ricky, have been married for 26 years and enjoy working together on their cattle farm. They have one daughter. Stephanie enjoys reading and spending time with her family and friends. 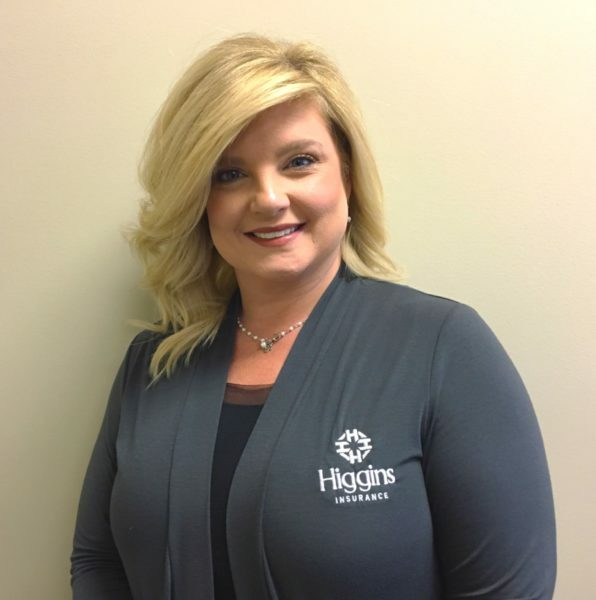 Stephanie joined Higgins Insurance in 2016. She graduated from Christian County High School in 2000. She earned a Bachelor of Science degree in Agriculture in 2004 and a Master of Science in Human Development and Leadership in 2016. She is licensed in Property and Casualty Insurance, as well as, Crop Insurance. Stephanie enjoys spending time with her husband and son. She also enjoys boating, camping, and cheering on the Louisville Cardinals. 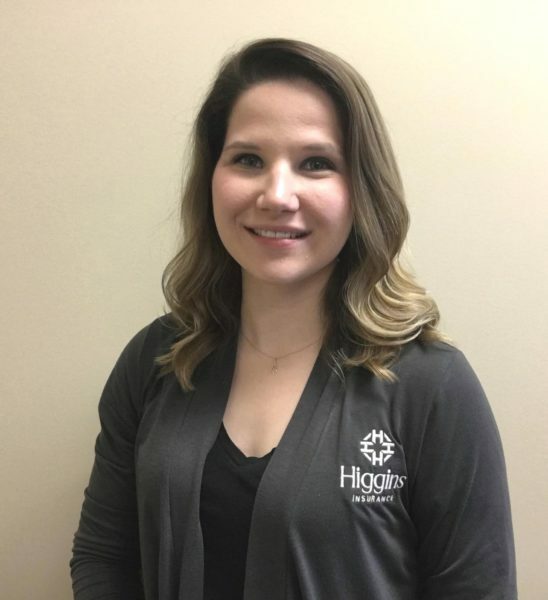 Natasha joined Higgins Insurance in August 2018. She graduated from Christian County High school. She lives in Hopkinsville with her daughter, Lia, and dog, Waylon. 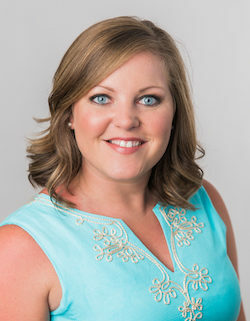 She is a member of Hopkinsville Junior Auxiliary and Hopkinsville Young Professionals. She attends New Work Fellowship. In her spare time, she enjoys running, cooking, and watching UK basketball. 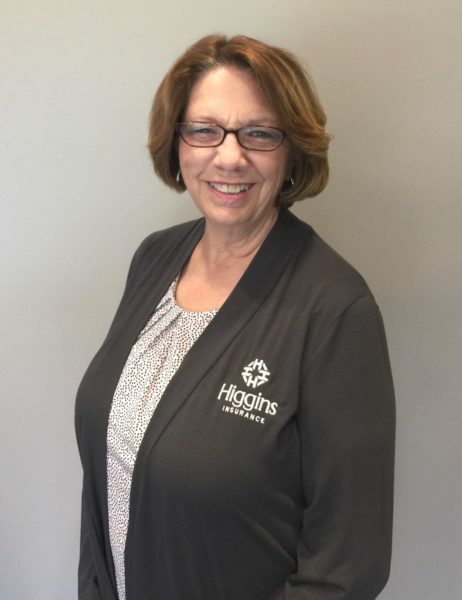 Karen joined Higgins Insurance in 1977 and has 41 years of experience in the insurance industry. She is licensed in Property & Casualty and has obtained her ACSR (Accredited Customer Service Representative) designation. 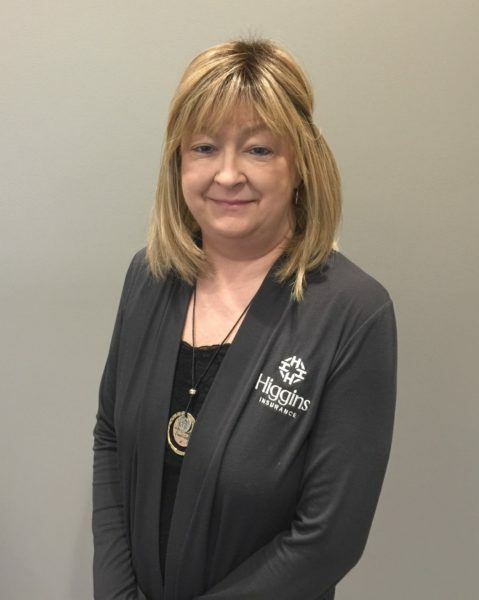 Karen is an active member in the Hopkinsville Business and Professional Women’s Club where she has served in every office as well as every committee. Karen graduated from Christian County High School. She is married and has two children and four grandchildren. She attends Britmart Baptist Church and serves on several committees. Karen enjoys spending all of her free time with her children and grandchildren. 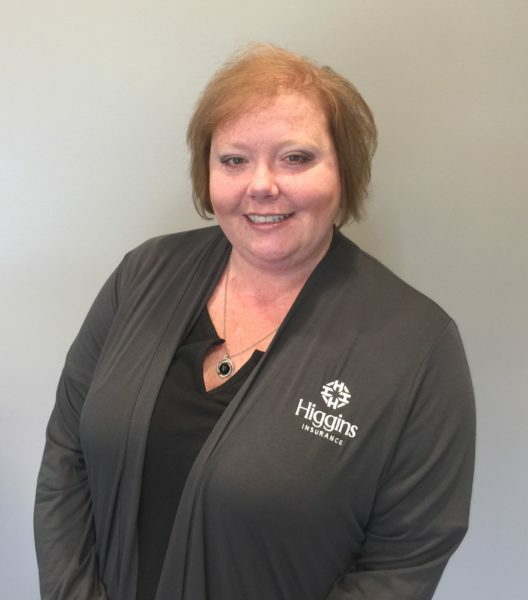 Pam joined Higgins Insurance in December 1999 and is a Life & Health Account Manager. She earned her Life and Health License in 2001. Pam and her husband, Randy, have two daughters, Kayla and Brandi. She graduated from Christian County High School. Pam is a member of Kings Chapel Fellowship Church. She enjoys shopping, attending church, and spending time with her family and friends. 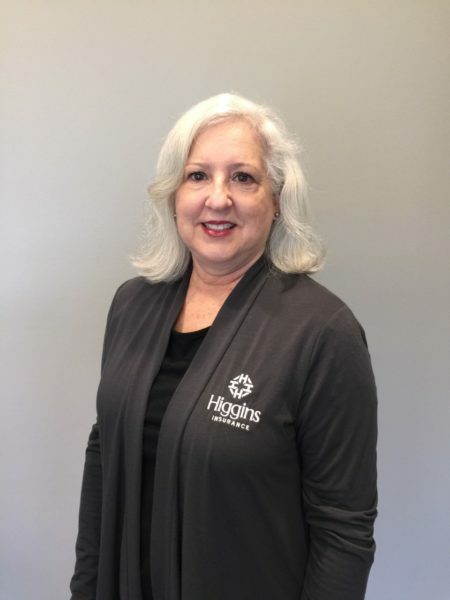 Susan joined Higgins Insurance in September 2014. She has 15 years of Life and Health experience as a Benefits Counselor. She earned her Life and Health License in 1999. She specializes in employee benefits enrollments for large and small groups. Susan has a Bachelor of Science degree in Merchandising and Business Management from Louisiana State University. She resides in Hopkinsville and enjoys gardening, traveling, and visiting her children and four grandchildren. Christina joined Higgins in April of 2017. She is a lifelong resident of Hopkinsville, KY. She has been married to her high school sweetheart, Stephen, for over 20 years. They have two sons, Dylan and Tyler. She is a graduate of Christian County High School. She is an Associate member of the Hopkinsville Junior Auxiliary and a member of Hillcrest Baptist Church. She enjoys spending time with her family, hiking, working in her flower garden, playing the piano, and cheering on her son Tyler and the HHS boys soccer team. 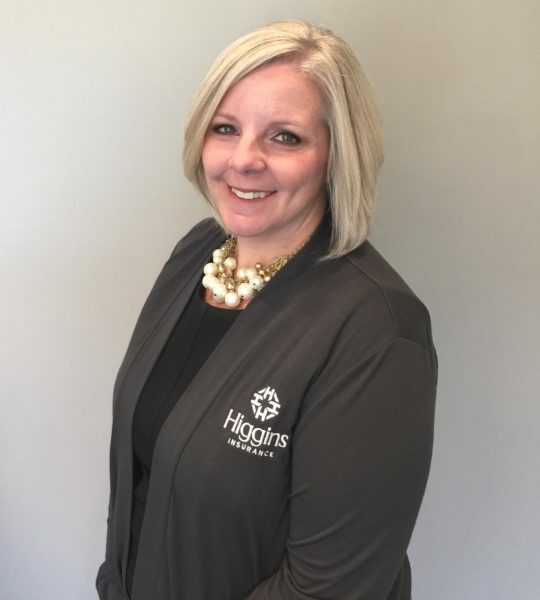 Amanda joined Higgins Insurance in 2013. 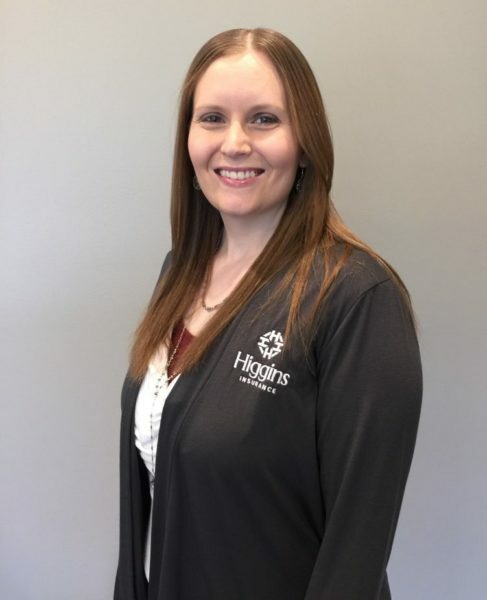 When she isn’t helping customers at Higgins Insurance, you may find her helping friends and family. She loves her church and enjoys spending time in the mask-free zone there. She married her hubby, Jared, in 2016. Since he is an avid sports fan, she spends time trying to learn more about his favorite sports. Her pride and joy is her son, Josh, who is an engineer at PRECC. They have a sweet fur-baby named Dixie, who is spoiled rotten (truth be told, she runs the house). 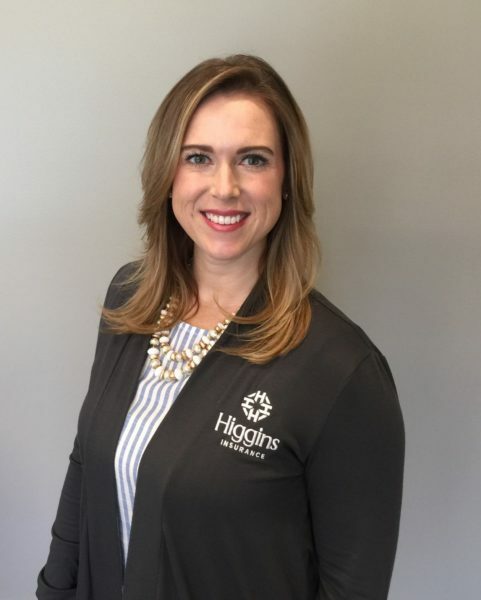 Allison joined Higgins Insurance in October of 2017. She is a graduate of Christian County High School. She graduated from Hopkinsville Community College in 2013 with her Associates of Arts Degree in General Business. She continued on to receive her Bachelors of Science Degree in Finance and Financial Planning from Murray State University in 2015. She earned her Property & Casualty and Staff Adjuster licenses in October 2018. She is an avid animal lover with a dog, cats, and even a horse. In her free time, she enjoys reading books, playing video games, and watching movies, especially mysteries and romantic comedies. She also loves to travel and spend time with her family and friends. 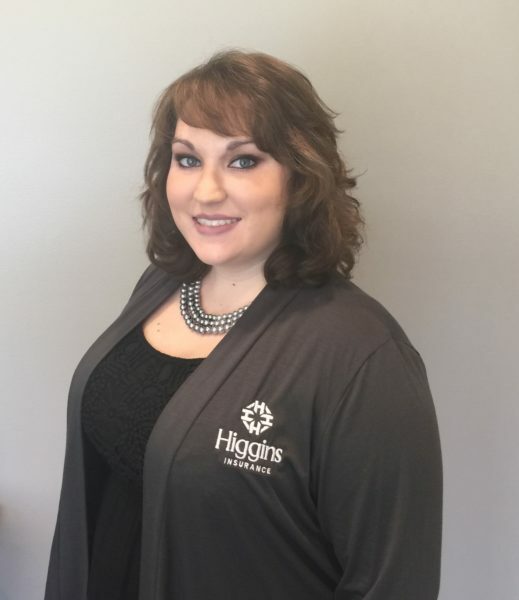 Sara joined Higgins Insurance in October of 2014. She graduated from Christian County High School and has a Bachelor of Science degree in Business from Murray State University. Sara earned her CPA (Certified Public Accountant) designation in 2014. She enjoys spending time with family and friends, traveling, and cheering on the University of Kentucky basketball team. Teresa joined Higgins Insurance in 2010. She graduated from Todd County High School. She has two sons and enjoys spending time with them and her dog. If she is not at work or with her sons, you will find her reading or watching movies.